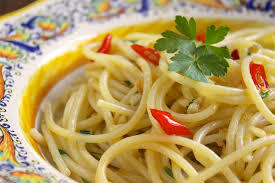 Spaghetti Aglio Olio is made by lightly sauteeing minced or pressed garlic in olive oil, sometimes with the addition of dried red chili flakes, and tossing with spaghetti. Finely chopped parsley can also be added as a garnish, along with grated parmesan or pecorino cheese, although according to some traditional recipes, cheese should not be added. 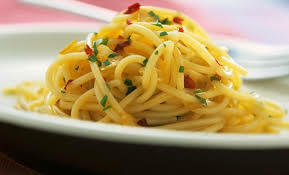 Regarding Spaghetti Aglio Olio, many New York Italian-Americans refer to the dish as “alla-ul” due to the influence of Southern Italian pronunciation in the area. 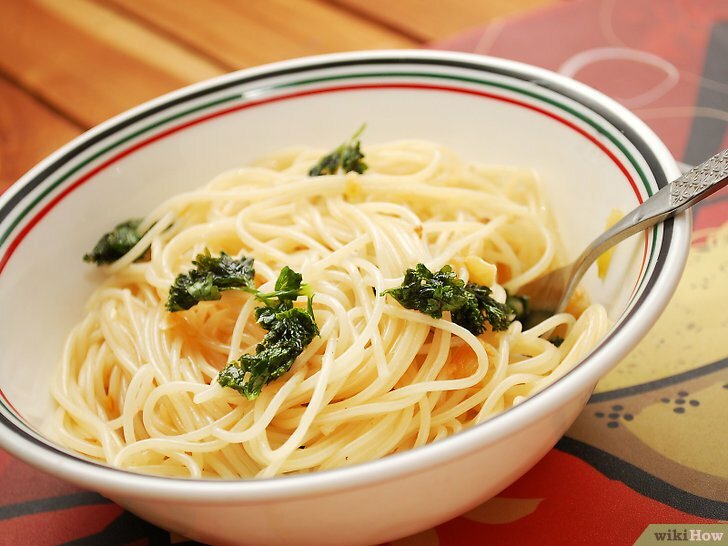 Spaghetti Aglio Olio – When I was growing up we most of the time had our spaghetti with tomato sauce. That remains my favorite way to enjoy our macaroni. However, there are times when Spaghetti aglio olio is just the thing. I love it when served with homemade salsiccia or sausage. 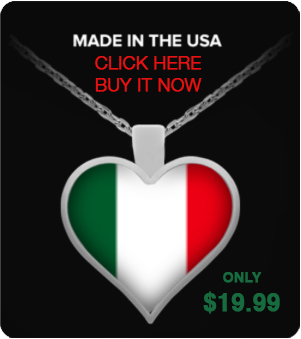 Follow this with a nice fresh insalata or salad with Olive Oil and Vinegar and … Wow.. what a delicious dinner. 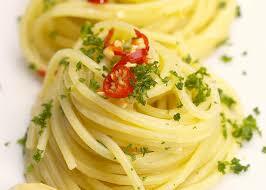 I happen to prefer Spaghetti aglio olio served with Capellini as opposed to actual spaghetti. Bottom line is taht this is a perfec answer to our desire for pasta. In fact some people prefer tis method from Spaghetti and tomato sauce if its served late in the evening. 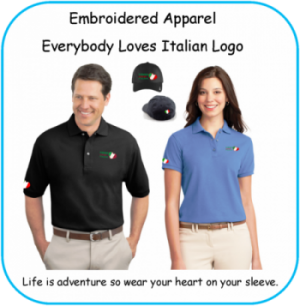 The tomato saude affets some people negatively if they go to sleep immediately there after. 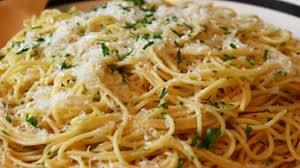 Spaghetti aglio e olio (“spaghetti with garlic and oil” in Italian) is a traditional Italian pasta dish, coming from Napoli, as it is a variant of the original one: Spaghetti alle vongole.